The Scrappiness challenge is asking for mixed media. 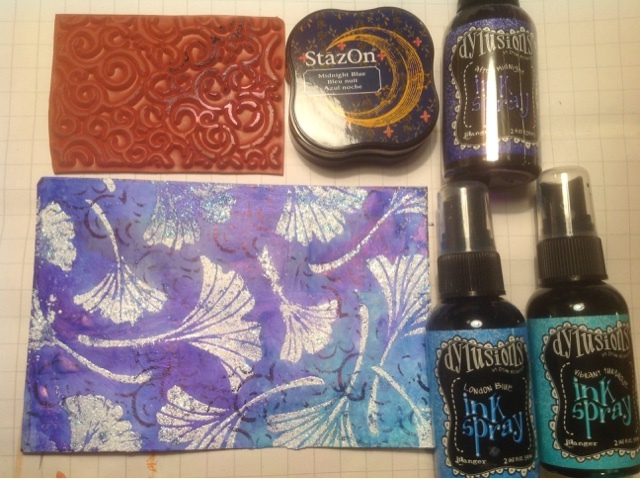 I started with that in mind, and am also linkig this to the Rubber Dance challenge (white, blue and "festive" red that turned out kind of purplish) and the Designs By Ryn customer creations challenge. 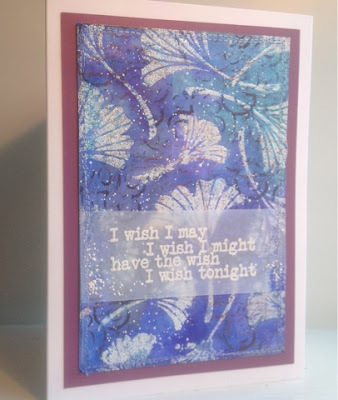 The background is my go-to mixed media layer: scrap paper glued onto scrap card. 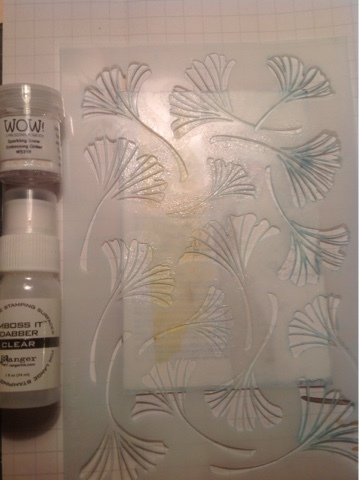 A layer of gesso, embossing through the stencil, sprays, stamping... That's it, always works for me :) The stamps I used are from Rubber Dance. 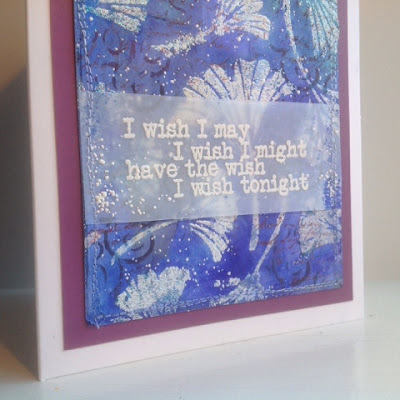 The sentiment was heat embossed onto vellum and sewed over the card. 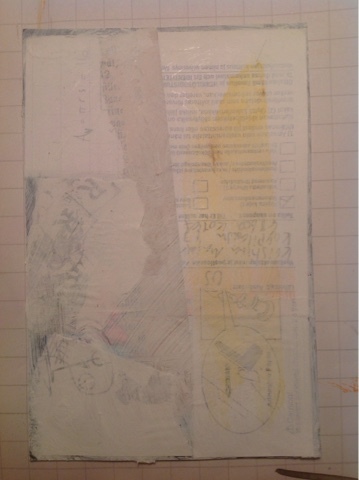 I sewed all the way around a couple of times, after which I realized the piece was too big for an A6 card and too small (on it's own) for 5x7. 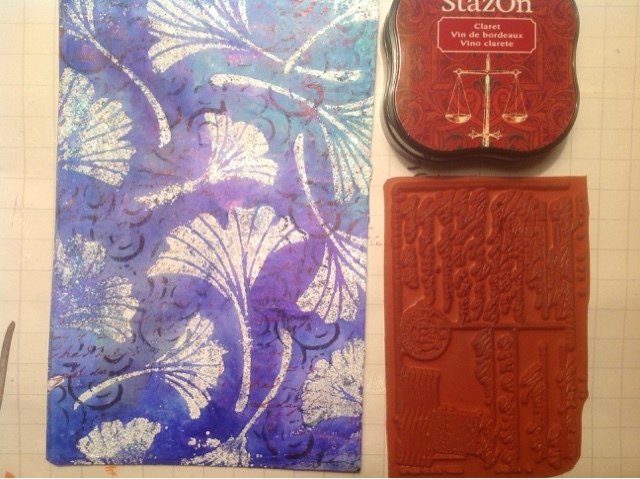 I mounted it on purple (or perhaps burgundy) smooth card from DCVW. 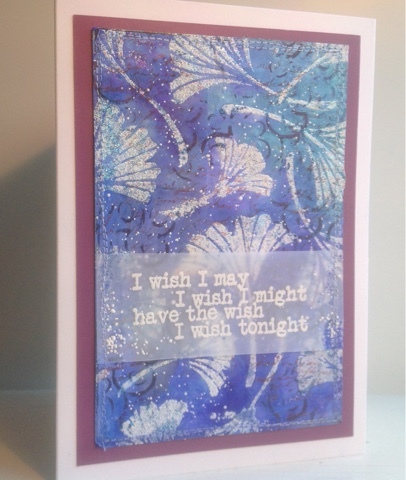 Beautiful card, Kristiina! 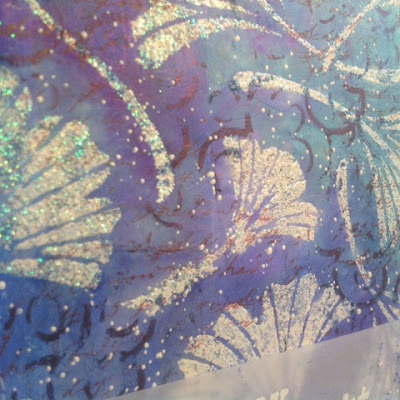 The background colours are really pretty and the white embossed vellum looks delish! Love the sewing, such a nice detail. Thank you for using my stamps and for linking it up to our challenge!